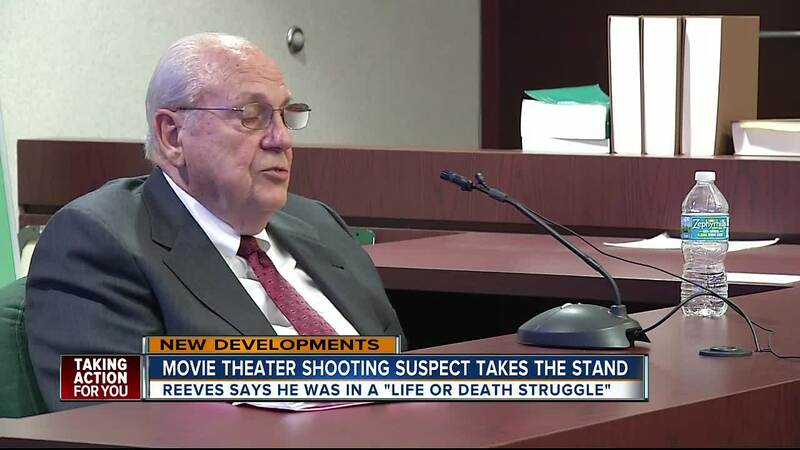 Curtis Reeves, accused of shooting and killing Chad Oulson in a Wesley Chapel movie theater, took the stand in the controversial 'Stand Your Ground' hearing on Tuesday. The previews had just started, Reeves and his wife sitting in the back row of theater ten, just behind Chad and Nicole Oulson. 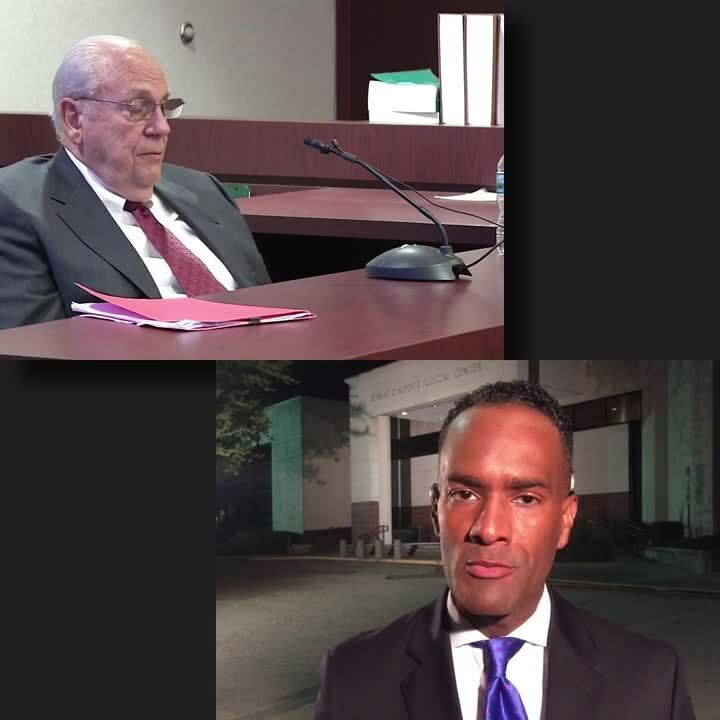 Reeves said he wasn’t belligerent at all and thought Oulson would do what he asked. “My voice was low, I said sir, can I get you to put your cell phone away? The response was f-off or get the f- out of my face,” Reeves said. When he didn’t, Reeves threatened to complain to management. When Reeves returned from the lobby, he said he was trying to be nice. “As a goodwill gesture I told him that I…I didn’t see his phone at that time. So I said I see you are not on your phone, sorry I involved theater management,” Reeves said. But he said that set Oulson off. He said Oulson quickly stood up and there was a barrage of profanity. 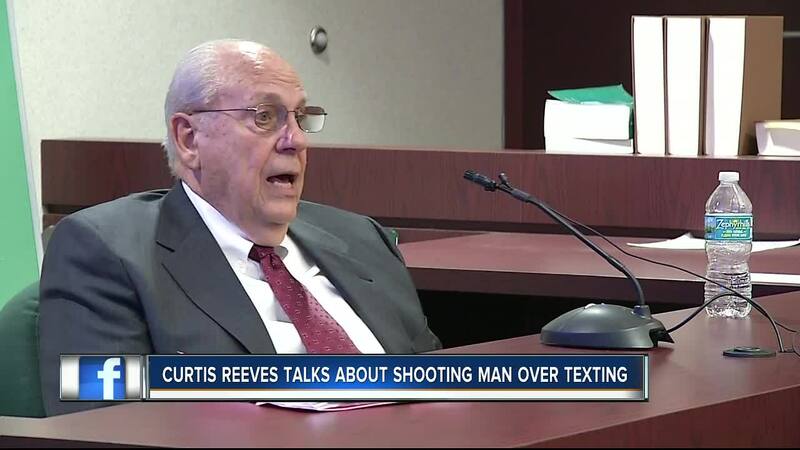 “A lot of sentences with the f-word,” said Reeves. He said Oulson threw his cell phone at him, hitting the then 71-year-old in the head. Reeves said Oulson’s wife tried to calm her husband down, but the threat seemed to grow. The surveillance video appears to show Oulson taking Reeves' popcorn and throwing it back at him. “He was getting ready to punch me. And I perceived that at some point and that’s when the pistol came out.,” Reeves said. 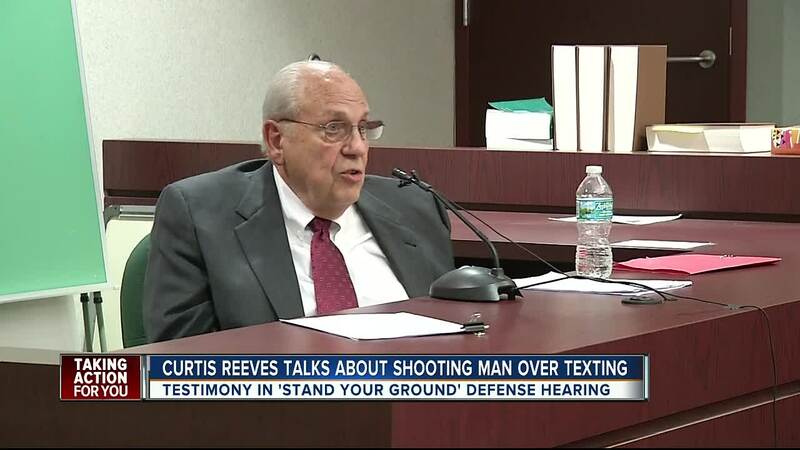 “And what did you do with that pistol,” asked Reeves' attorney Richard Escobar. The bullet hit Chad Oulson in the chest, his wife’s hand was hit too. “Did you want to shoot him,” asked Escobar.